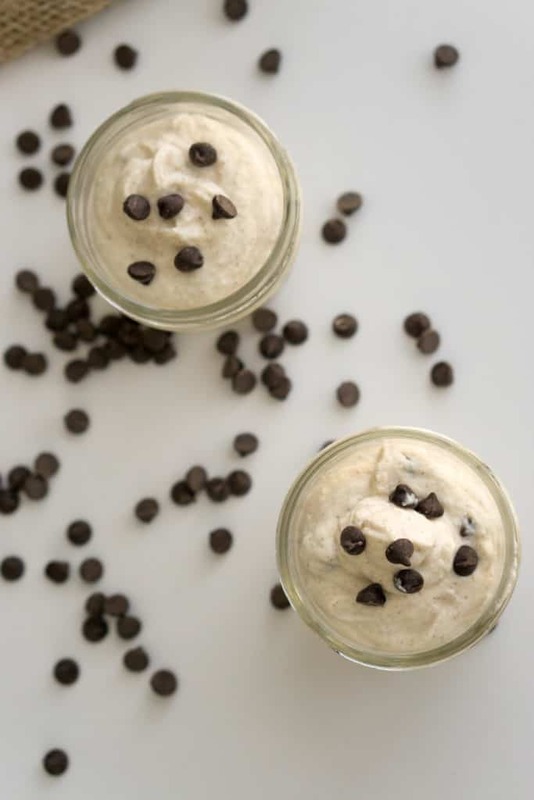 As you know, we are big fans of all desserts, especially the simple to make ones, and this Cannoli Cream recipe falls right into that category! It only takes six ingredients, three of which are optional, and ten minutes of time you can definitely spare to make this simple, creamy, low carb dessert! Our favorite part about this recipe is that it can be made in bulk, in advance, and stored in the fridge for whenever you get a sweet tooth craving! Have it for breakfast or dessert, no one is judging. The Best Part Is THe Cannoli Filling! This cannoli filling recipe, is creamy, crunchy, sweet and spiced. What more can you ask for from a dessert that takes you ten minutes to make?! Matt grew up in a big Italian family so cannolis were a must on holidays and any given day of the week. He would eat them regularly so giving them up wasn't an easy task. But, lucky for us he thought the filling was the best part. 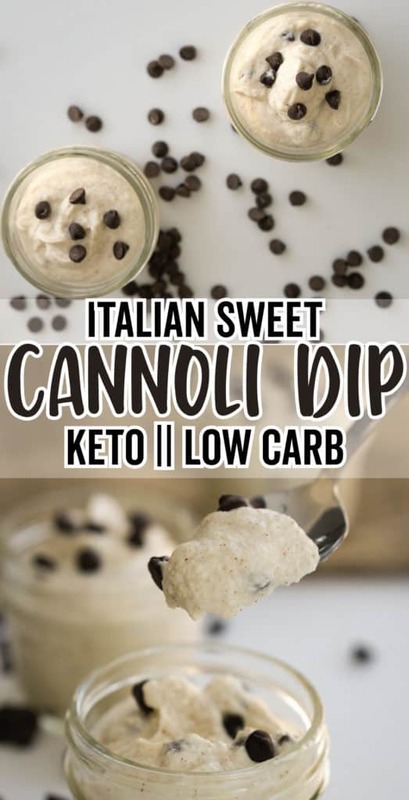 So, as a tribute to the old, pre-keto Matt, we had to make this cannoli filling recipe and share it with you guys! When it comes to desserts, we say the easier the better. After you've eaten dinner and cleaned up the kitchen the last thing you want to do is dirty a bunch more dishes or spend 30 minutes baking something for the family. 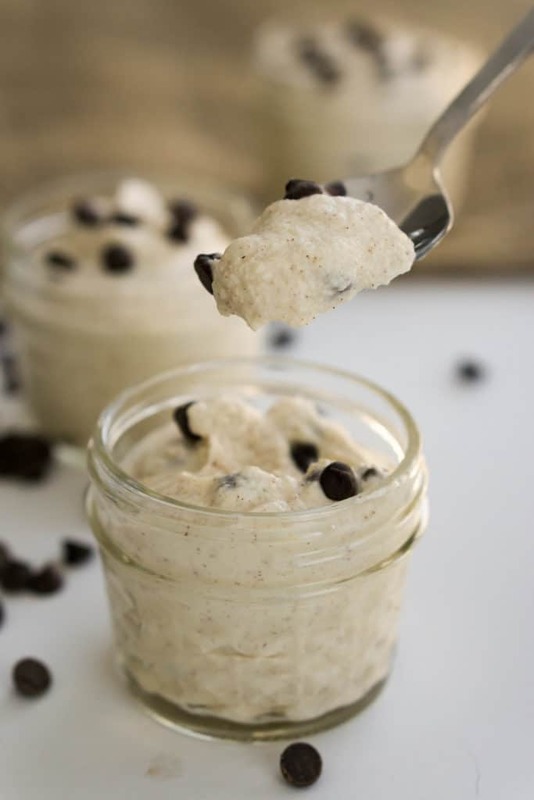 This recipe is not only delicious and extremely satisfying, but also takes less than 10 minutes and can even be made in bulk and kept in the fridge for dessert all week! 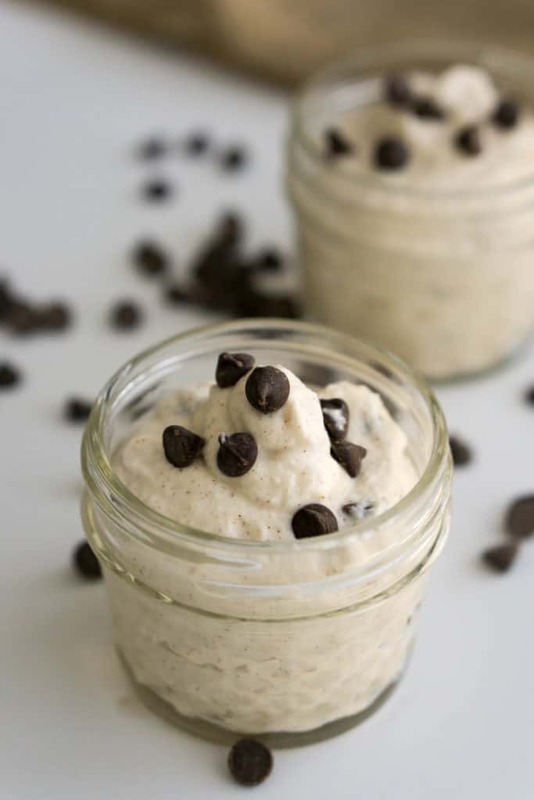 A couple other desserts we think you should give a try are our low carb mug cakes, and no bake peanut butter balls! ​It's really a shame it took us this long to make this recipe. Cannolis are Matt's favorite pre-keto dessert and I am a sucker for anything I can spoon into my mouth straight from the fridge. Once we discovered this recipe we made it weeks on end. When something is this good it can't only be made once. This cannoli cream recipe is going to change the way you feel about dessert, so do yourself a favor and make this asap! 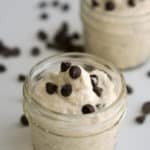 Recipe can be quickly added to MyFitnessPal - Search "KetoConnect - Cannoli Cream Recipe"
Place a cheese cloth in a bowl and spoon the ricotta into the cloth. Ring out as much liquid as possible from the ricotta cheese and place into a dry bowl. Add the powdered erythritol, cinnamon and vanilla extract and combine. Set aside. Add the heavy whipping cream to a small bowl and whip to stiff peaks using a hand mixer. Once stiff peaks are achieved fold it into the ricotta mixture until thoroughly combined. Fold in the chocolate chips and chill for 1-2 hours.